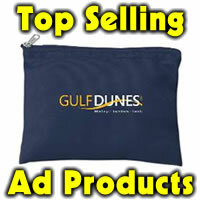 Want a popular pen to hand out with your logo or contact information? We sell the Inkjoy retractable pen with your logo or information to hand out at events, customer appreciation, golf tournaments and more. The Inkjoy retractable pen comes in 9 colors that can write the same color ink as the pen or black ink. The Inkjoy combines the best qualities of ballpoint & gel technologies to deliver effortless, colorful writing. The imprint area is 1-5/8″ x 9/16″. Suggested imprint color is silver. Min. 300 at 460 cents ea, 500 at 42 cents, 1000+ 39 cents ea. Free set up. Pen colors: black, blue, red, purple, green, turquoise, lime, orange, brown, or choose assorted with same imprint color on all pens. 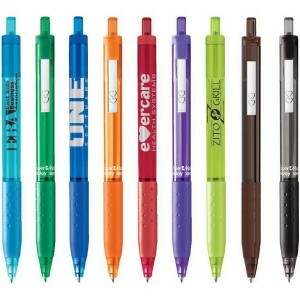 Additional imprint color add 8 cents per pen..